Personalize your Partner 900 device with an exclusive engraved message only from ECTACO! Make an already superb gift one that will never be forgotten or make it uniquely yours. All you need to do is add a personal message like a name, a favorite quotation or song title, a birthday or other special occasion greeting and you have the prefect gift that will always be remembered! Engrave your Partner for only £9.95. 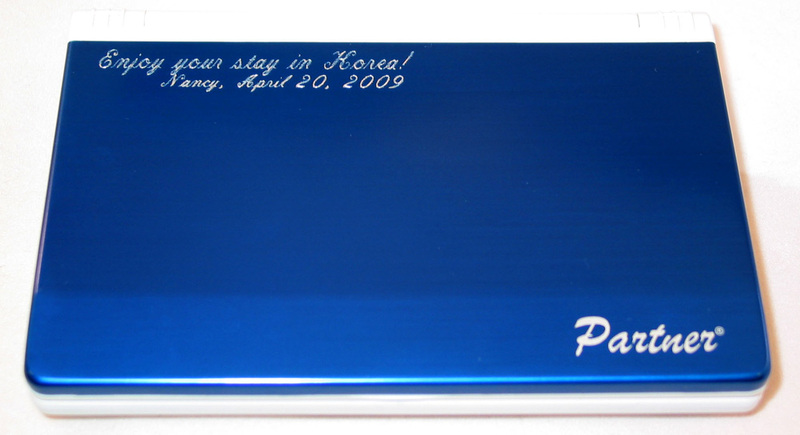 What could be more stylish or personal than a special message engraved on your Partner 900 device? Stand out from the crowd or tell someone how much they mean to you by choosing just the right way to say "I Love You". With this exclusive ECTACO service you can take the Partner 900 from precision to perfection with a simple but effective engraved message. It couldn't be easier. Just follow the link below and add the text for your engraving in the comments field of your order. The inscription needs to be less than 100 characters but otherwise your imagination is the only limit. With a choice of placements that include the upper-left corner or center of the cover, remind someone just how special they are every time they pick up the device! 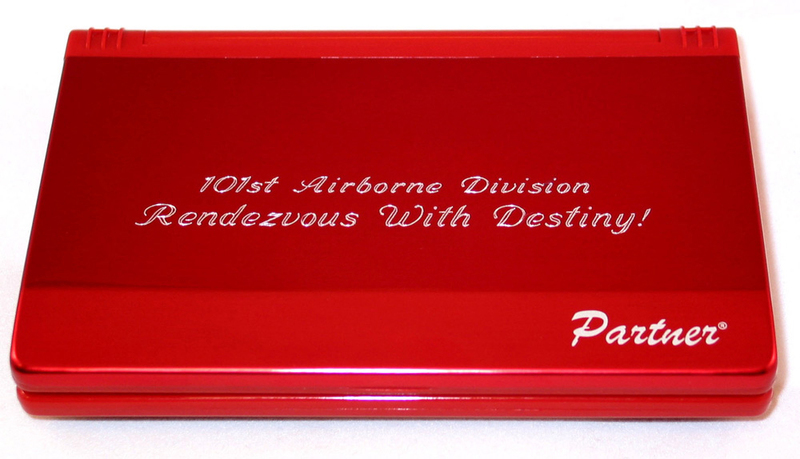 Just follow the link below and add the text and location for your engraving in the "comments" field on your order form.